A Man Healed for the Second Time! Remeber: Like our Facebook page: Good News For the Shan - Ministry, to get more updates and pictures. It is a family we have known for over 2 years now and they are very open, especially after the family father got healed for almost two years ago. He had problems with his eyes, and he had been to regular doctors and witch doctors who couldn't help him. We explained that for God this is not impossible, so my wife and me prayed for him over a period of months, and he got better and better. Today he is healed and has no problems. A few weeks ago, when I was going to pick up the children for our Saturday and Sunday school, he stopped me when I picked up his youngest daughter who goes to our weekend school. He had pain in his knees and trouble working and sleeping, and he asked me if I could pray for him there and then. I parked the car and prayed for his knees. Last week we visited him, and he eagerly explained us that after I had prayed for him, all the pain had disappeared and he slept well at night. Read more: A Man Healed for the Second Time! Remember: Like our Facebook page: Good News For the Shan - Ministry, to see more pictures, videos and updates. We had a successful Christmas celebration here in Northern Thailand, and we reached out to between 200-250 Shan people all together. We had four parties at four different locations from the 14th to the 22end of December, most people had never heard about the Christmas message before, and many were encouraged. Watch a video from the Chrismas parties under! About 150 people came to our Christmas party on December 22end that we had on the land that we rent. We had programs in the morning for the children and youth and food and program for adults in the evening. Many prayed the salvation prayer in the end of our big Christmas party. Our Sunday and Saturday school kids performed a Christmas tradition Shan dance (with the Christmas message) in all the places we were, plus in a Shan church we visited in another city. Now we have started the New Year with about 10-15 children. This last Sunday we had Children's Day at our Sunday school. Around 40 children, plus some adults came. It was a fun time with lot of games and we ate lunch together. Arrangements and special days are always a good opportunity for us to share the Good News. Please still pray for sponsors/donors to our ministry: Good News for the Shan. We are in need of more funds in this year too, we are especially in need for a car. There has been a lot of exciting things happening the past month, and I could probably have written several pages about it, but I just want to mention a few highlights. Some of the highlights are: Baptism of two young people, we gathered around 60 Shan where several wanted to receive the Good News, and an encouraging visit by a Canada team. Two Shan youths, that we have known since they were born, (it starts to down on me that I've been here for almost 15 years) said one day to us that they wanted to get baptized. One came from a Christian family, the other not. It's a big step for those who are raised with a Buddhist background to get baptised (read more about this and see a video under). Our Saturday and Sunday school goes well, but has decreased some in numbers since we started it up this winter. It is mainly the oldest children/youth, from 13 years of age and upwards, we struggle to get engaged. We have the opportunity to reach out to more children on our Saturday and Sunday too, but we are not able to do it at the moment since we only have one car. Mawkkham does a very good job with the youngest children on Sundays (4-9 years old) and they are very engaged. The days Mawkkham does not come, the children always ask for her. She is good at making them interested in hearing Bible stories, and even those up to 13 years listen carefully to her when she tells stories and teaching from the Bible. We still gather between 10-17 children each week. If there are anything you could help us with, from volunteers, teams, donations and not least in prayer, please contact us! If it is only to visit us for one our two days too, you are very welcome! We have had two weeks summer holiday in our ministry. I mid May we started up our Sunday and Saturday school again. Some people had sadly left to another city, for better work, but there where also some new children that came. We have possibilities to reach out to more people, but because of our small team and lack of another car we are not able to pick them up at this time. Mawkkham have started to do more Sunday school teaching now for the smallest children, she has not been able to do so because of her pregnancy. One Sunday she asked them if they had some prayer subject. One girl said: Pray for my mother and father. My mother is pregnant and they arguing all the time now. A few days later we had a meting for new believers, and both of them came to our meeting, and heard the Good News, it was the first rime for the father to come any meeting like this. Remember: Subscribe to our Facebook page: Good News For the Shan - Ministry, to get more pictures, videos and updates. A need we have right now is to have one more car. At the moment we only use my car and it's difficult to run the Saturday&Sunday school when I, Tore, are not there. I will also go to Norway soon for two weeks. We could also have picked up more children/youth and be more efficient if we had a car for the ministry. 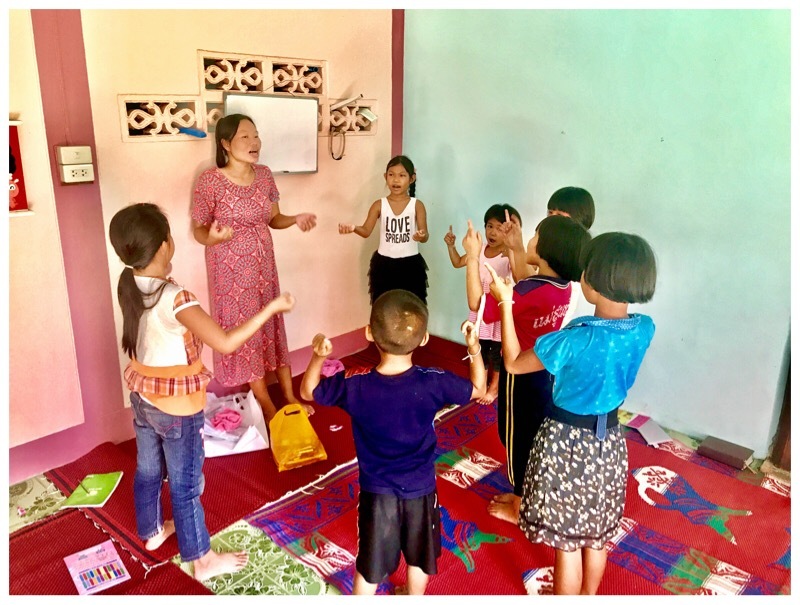 We also pray for volunteers who can help us with children and youth ministry and teaching English for a shorter or longer time (see Teams&Volunteers). 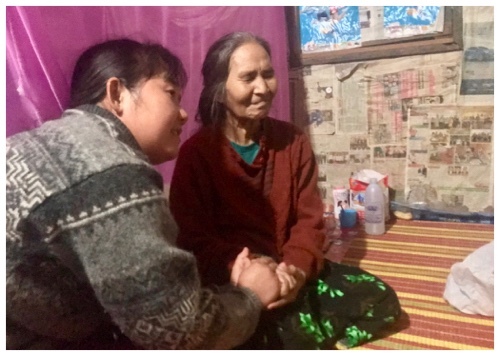 An Elderly Shan Lady Supernaturally Healed. J ust before Christmas, our co-worker Tip got a phone call from a daughter of an older lady who became a Christian a few years ago. This older woman, about 68 years of age, had partially left her faith, but when she got sick she told her daughter that she just wanted to get in contact with us and be prayed for by our God. She did not want a witch doctor or Buddhist amulets, which is quite common to go to or get in this culture when you are sick. When we visited her, she had already been in hospital for a week. She had only gotten worse and there was blood coming out of her nose, mouth and even her eyes. She was very glad that we came, but could not talk much. She cried some when we laid our hands on her and prayed. The daughter, who is not a Christian, also cried. After we had prayed, the daughter asked what happened when we prayed. Our co-worker Tip said: When we prayed, the power of God worked, and she will eventually get better and will completely recover. I was thinking in my mind that I really do not hope that we only give some false hopes, because God really had to do a miracle with this woman, and I do not know if I had as great faith as Tip had. When there is blood from the nose, mouth and eyes, it is a strong indications that they are at their last hour in life and many believed that too with this woman. We are a ministry and team that want to see the Good News spread among the Shan people in Northern Thailand and into Myanmar. We are located in Northern Thailand in the Chiang Mai district (we have rented a land in a village south of a city called Fang, where we have our main activities). We started up this ministry February 2017 and are two couples at the moment. Three locals Shan/Karen and one foreigner from Norway. 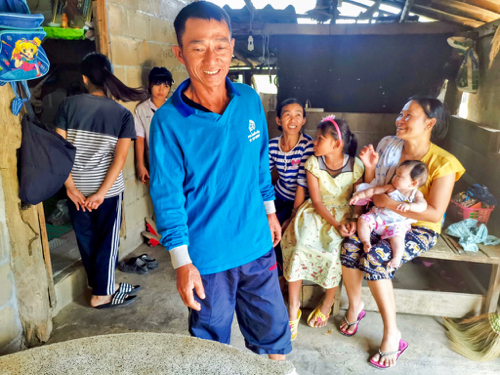 We are also connected with Youth With A Mission (Chiang Rai and Norway) and some Churches, both locally and in Norway. We have rented a land in a village and have most of our activities here. On Saturday and Sunday we have a school and we teach language like: English, Shan, Burmese and Thai. There are also som children that are not able to go to a local school, so we also provide teaching in Thai. We also teach the children about God and ethics. We also have meetings, worship and parties/festivals on this property. We are visiting people and make connections. We follow up and visit some children and young adults whom we have known for a while. We also do some humanitarian aid like helping the poor and refugees.